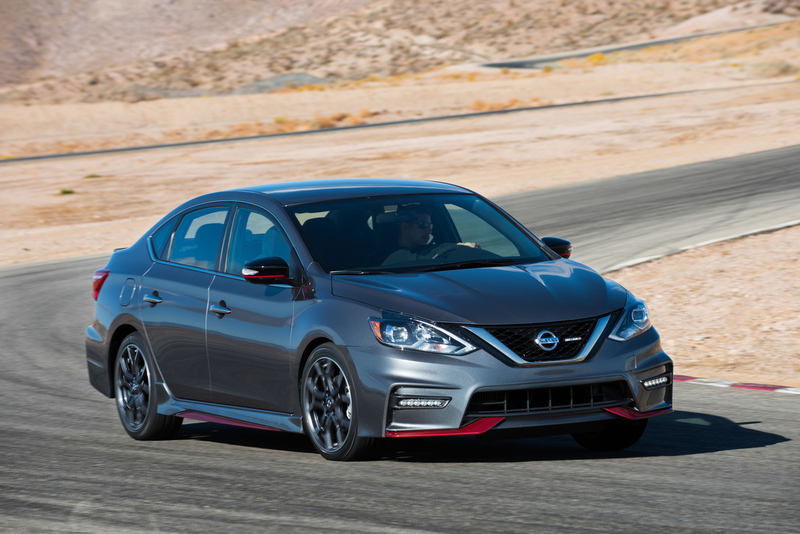 Nissan Sentra Nismo - What's New from the SR Turbo? 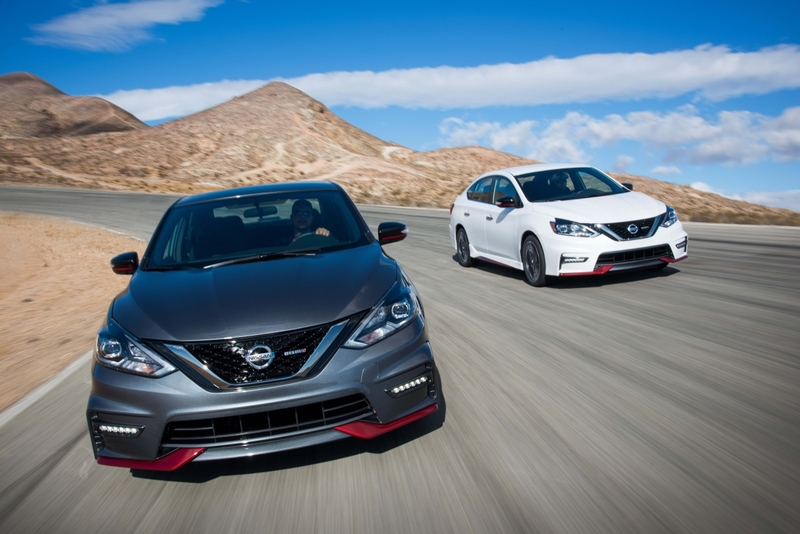 Nissan Sentra NISMO – What’s New? 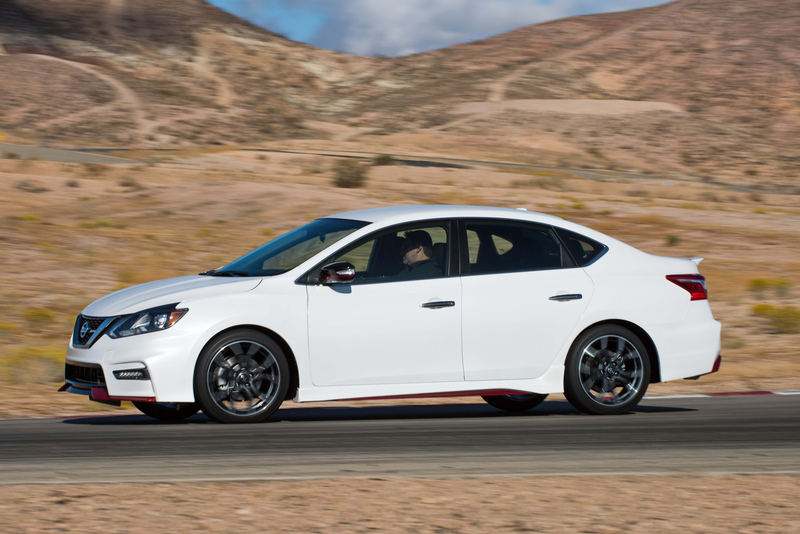 Not to be outdone by the new Honda Civic Si, Nissan is introducing the Sentra NISMO edition at the LA Auto Show, making it the first time the Sentra has entered the NISMO high performance lineup. Surprisingly the same turbocharged 1.6L inline-4 motor from the SR Turbo will be powering the Sentra Nismo. Output remains the same at 188hp and 177lb-ft of torque. The saving grace is that it will be available with either a 6-speed manual or the Xtronic CVT. Stiffer springs and monotube dampers lower the car by 0.4″. The rear torsion beam is carried over to the NISMO model. In addition, the chassis has also been reinforced to stiffen the structural rigidity of the vehicle. Side profile of the Sentra SR Turbo. Look at that wheel gap! The lowered ride height is noticeable, although keep in mind the left side of the car is under load. NISMO retuned the Electric Power Steering system for a quicker steering ratio, providing more direct turn-in and feedback. While this might seem subtle, it can make a huge improvement on how a car drives if done properly. The aluminum 18″ NISMO wheels can be wrapped in either 215/45R18 Michelin Pilot Sport All Seasons or the much stickier Bridgestone RE-71R as an option. My Fiesta ST came equipped with Pilot Sport A/S 3s. They are by far the best all seasons I’ve driven on, but I still think the sticky Bridgestones RE-71Rs are the obvious choice, especially in Canadian climate where proper winter tires should be a necessity. 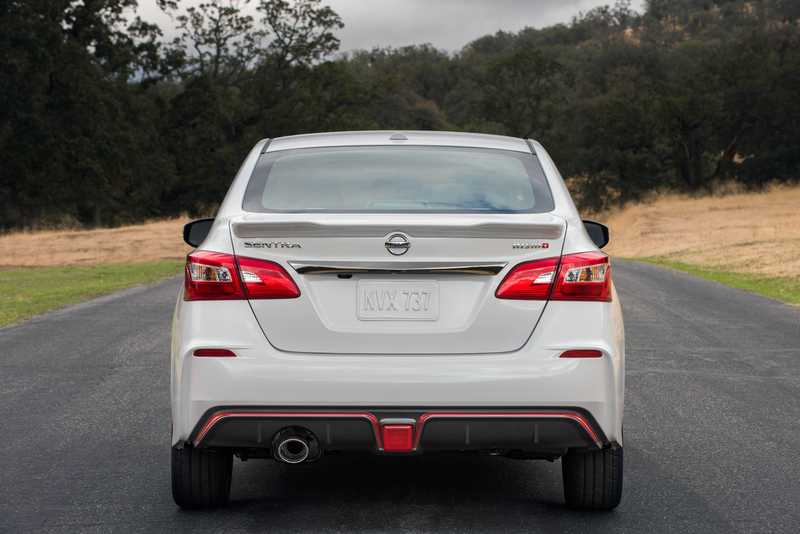 The most obvious upgrade on the Sentra NISMO is the aggressive aero kit built around the signature “layered double wing” design. The revised front and rear bumpers, side skirts and rear spoiler reduce lift by 30%. 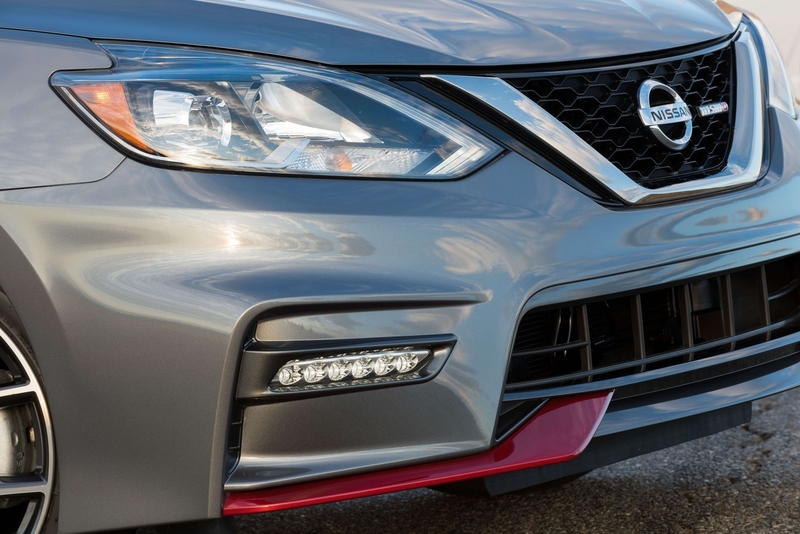 Other aesthetic upgrades like the grill, LED Daytime Running Lights and NISMO colour accents are also a nice touch. NISMO overhauled the interior and the result is a much improved look over the base models. The thing that stood out to me the most is the partial Ancantara steering wheel with matching NISMO front seats. 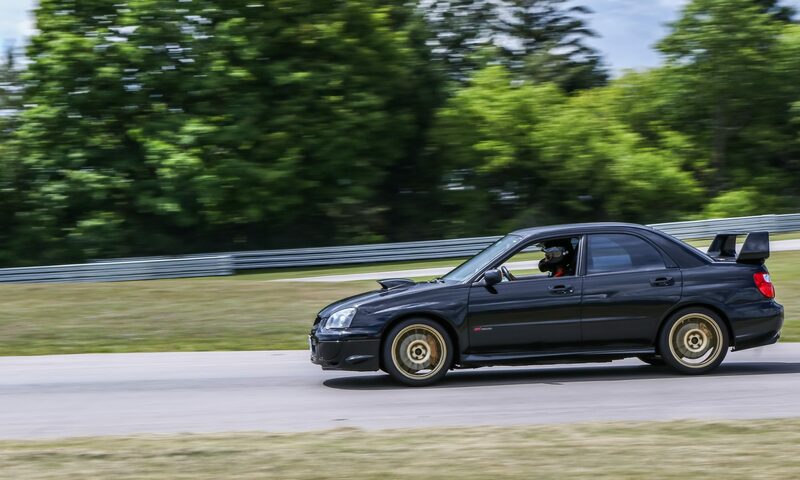 The original B13 Sentra SE-R has become a cult classic with a very simple formula: lightweight, high revving NA motor, sports suspension and even a LSD. This is the same recipe that Honda used to make legendary sport compact cars like the Civic Si/Type R, Integra and RSX. Unfortunately Nissan was unable to recapture the magic of the B13 as the Sentra SE-R got worse with each iteration. Now that we’ve entered the turbo era, the formula has changed but the sports compact segment is more competitive than ever. The Ford Focus and Fiesta ST, Volkswagen GTI, Subaru WRX, Toyota/Subaru GT86/BRZ and the upcoming Honda Civic Si are all highly attractive options. In my opinion, the NISMO lineup is in desperate need of some fresh blood with the GT-R turning 9 years old (although still highly competent) and 370Z turning 7. The Juke is neat but the high center of gravity of the crossover body hurts driving dynamics. I would love to see the Sentra NISMO becoming the spiritual successor of the original B13 SE-R and put the brand back on the board in the affordable sports compact car market.